Here's the playlist for this week's edition of Mondo Radio, which you can download or stream here. This episode: "Hammer of the Gods", featuring hard rock, proto-metal and more! If you like what you hear, be sure to also follow the show on Facebook, Tumblr and Twitter! 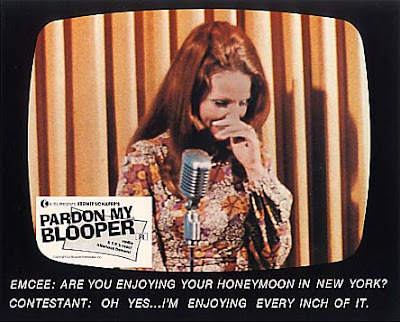 By their very definition, bloopers and outtakes are, quite literally, throwaway bits of footage, but they've attained an oddly permanent place in our popular culture. Here's the playlist for this week's edition of Mondo Radio, which you can download or stream here. This episode: "The Bag I'm In", featuring heady garage rock, psych punk and more. If you dig it, be sure to also follow the show on Facebook, Tumblr and Twitter! Television Personalities - I Know Where Syd Barrett Lives (Original) - Yes Darling, But Is It Art? Television Personalities - King And Country - Yes Darling, But Is It Art? 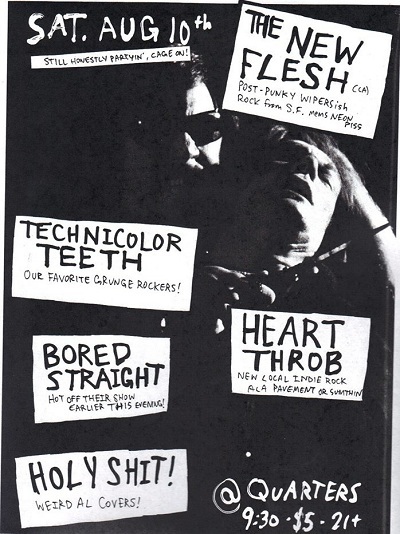 A supremely baked Seth "Hunx" Bogart leads his band of Punx through a ramshackle, but rocking, set at the Cactus Club in support of their stellar new album, Street Punk. With the popularity of the cassette as an affordably trendy way to release their own music, it was only a matter of time before its scrappy little cousin the cassingle made a comeback as well. 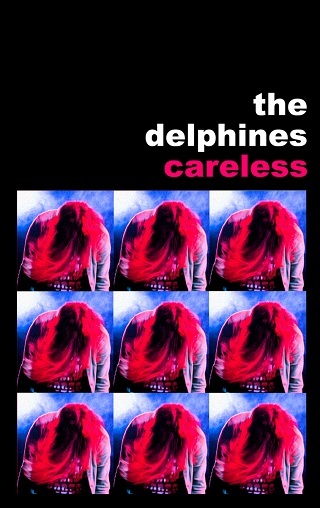 Now local garage pop favorites the Delphines have embraced the quirky format, making their speedy, characteristically catchy new single, "Careless", available as a limited edition pink tape, out now on Milwaukee's own Organalog Records, in addition to the usual digital download. The real reason to pick up the release in any form is the music which, as you may expect from the Delphines, goes by in a flash, its two tracks rushing by in less than five minutes altogether, but leaves a big impression in spite of its brevity. "Careless" is a stomping, snotty kiss off with a short but effective psychedelic breakdown, while the lovesick B-Side, "Strut", is a tad more vulnerable, but rocking nonetheless. The recordings more than do the material justice, preserving their usual clean, crisp mix while emphasizing the low-end a little more than some of their previous releases. That, naturally, comes through best on analog, which is one reason to shell out a few bucks for the physical copy, another being the slick packaging and cover design, the Delphines having as good an eye as their ear. Cassingle or otherwise though, "Careless" deserves a listen. Here's the playlist for this week's edition of Mondo Radio, which you can download or stream here. This episode: "When the Night Falls and Others Sleep", featuring techno, house and more. If you like what you hear, be sure to also follow the show on Facebook, Tumblr and Twitter! Local kindred spirits Juiceboxxx and Rio Turbo take over the east side's trendy Hotel Foster with memorable, but rather mixed, results. FEATURE: What a Visionary: Russ Meyer's Faster, Pussycat! Kill! Kill! Love him or hate him, you've got to admit that breast-obsessed filmmaker Russ Meyer was a one of a kind, and that his 1965 magnum opus looks and feels like little else. Here's the playlist for this week's edition of Mondo Radio, which you can download or stream here. This episode: "Dope on Plastic", featuring hip hop, rap and turntablism. If you enjoy it, be sure to also follow the show on Facebook, Tumblr and Twitter! Mr. Nogatco (A.K.A. Kool Keith) - Dark Space - Nogatco Rd. Mr. Nogatco (A.K.A. 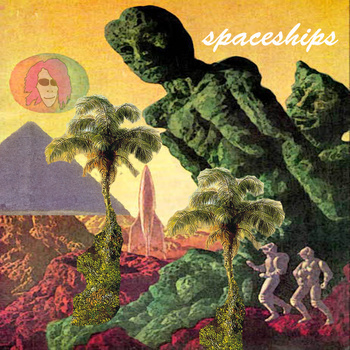 Kool Keith) - Night Flyer (Force Field) - Nogatco Rd. 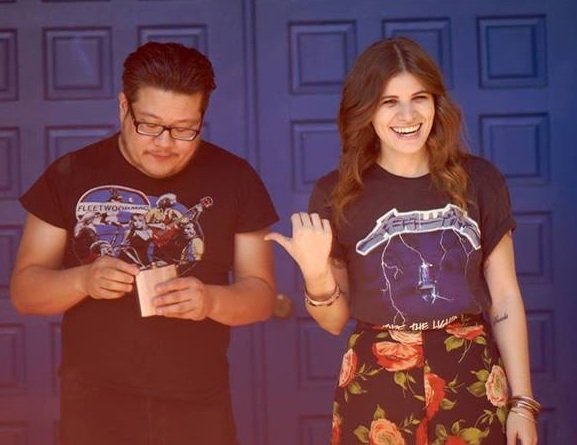 Appropriate for a band hailing from the bustling, diverse Echo Park neighborhood of Los Angeles, Raw Geronimo sound assuredly eclectic on their new debut LP Dream Fever, packing a lot of musical ideas, and a lot of style, into its 38 minutes. The sextet, led by multi-instrumentalist and versatile singer Laena Geronimo (daughter of recently departed Devo drummer Alan Myers for what it's worth) has a couple 7"s under their belt, but it seems they've let loose with both barrels on the first full-length, leading to a whole that at times feels a little over-produced, but is never uninteresting. 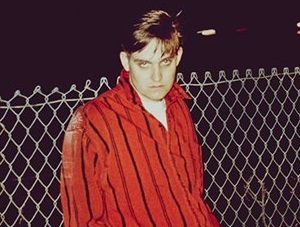 After the poppy, purpose-stating opener "Lose My Mind", the album careens off in a number of different directions, including the Elastica-like morality tale "Faustine, the candy-coated punk of "Chinatown" and "Bird's Eye Bonsai"'s sultry faux tribalism, which owes a rather large debt to Bow Wow Wow (at times, Geronimo's brash voice even hews pretty close to Annabella Lwin's). There are plenty of other ingredients in Dream Fever's percolating mix, like some syrupy girl group balladry and a dose of glammy sneer, but, somewhat remarkably, it all hangs together rather well, united by a sense of fun and a bristling teenage energy. As a debut, it makes you wonder where they'll go next (though an overstuffed first record can sometimes foretell the dreaded sophomore slump), but as it stands Dream Fever is an enjoyable summer outing, one with both credibility and crossover appeal. However, there are a few moments, such as the otherwise rocking "Bitched", where there might be a little too much polish, where Raw Geronimo could be a bit more, you know, raw. That's a relatively minor quibble with an album that's well worth a listen, especially one that pulls of so many other tricky balancing acts so well.